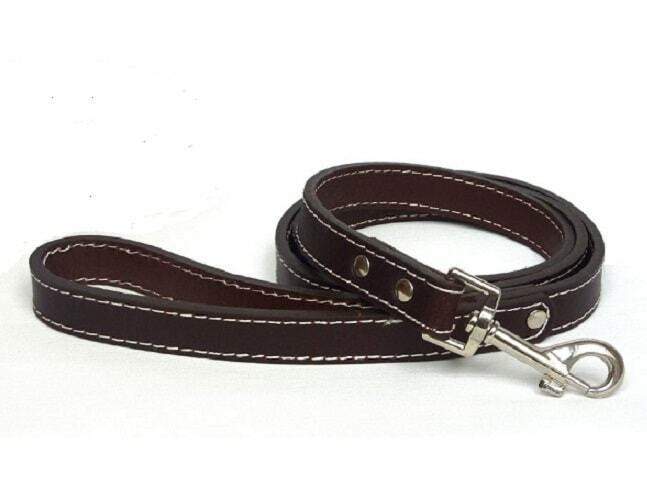 Traditional style plain brown leather collar. Made with quality genuine leather. 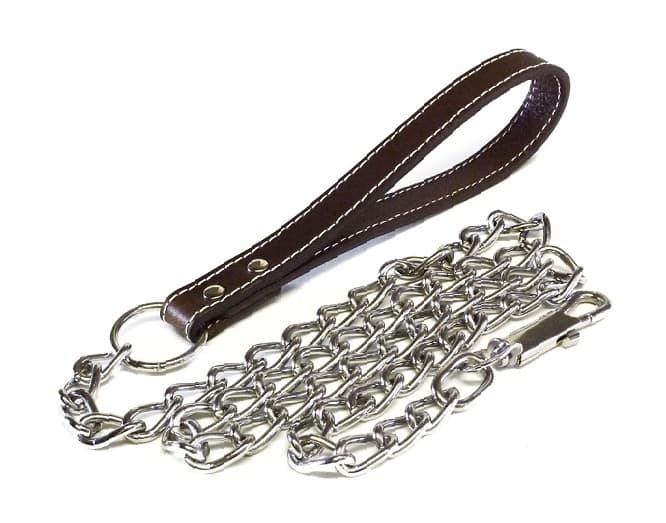 Also available with matching leads. 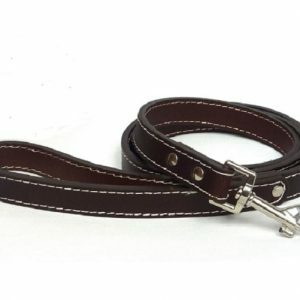 Traditional style leather plain brown dog collar. 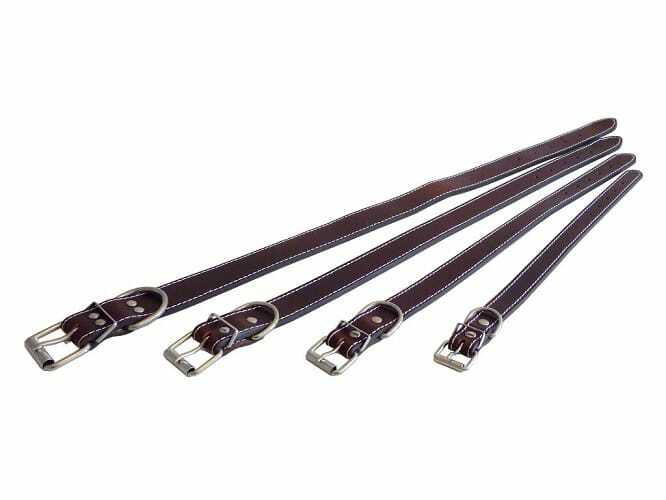 Made with quality genuine leather and attractive edge stitching. A practical and strong collar with a touch of style. 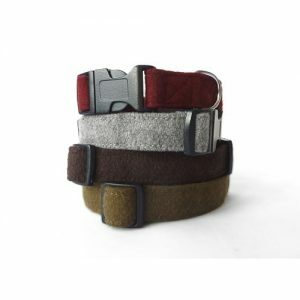 Metal buckle and fastenings. Available in small, medium, large and extra large. 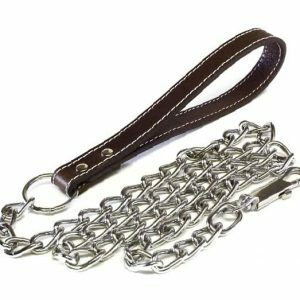 Suitable for most most breeds of dog. 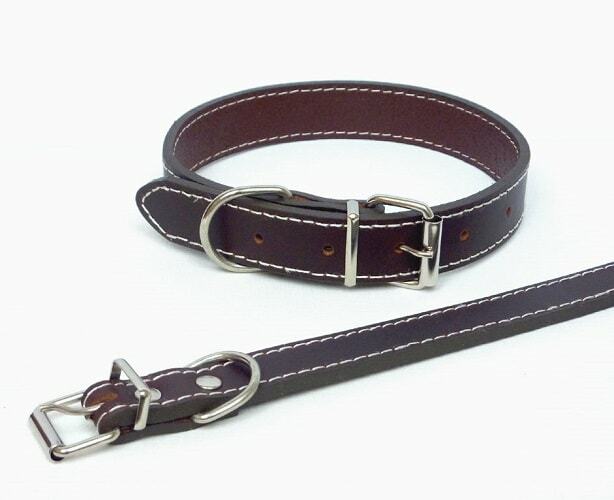 Please ensure you measure your dog’s neck size in order to receive the correct size of collar. See below for matching lead details. 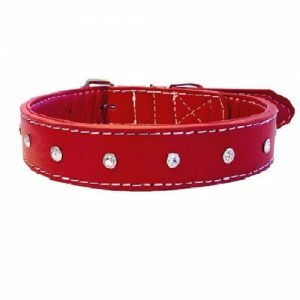 Matching leads are available for this collar.